NextEpisode 1 – Surviving Your Viva! This episode is the first of what we’re calling “Research Round Tables”, in which we’ll be summarizing some recent work from the Institute. Other episodes will also feature interviews/discussions with institute researchers about specific projects, but with these episodes we hope to briefly cover a wider range of research topics (and have a bit of fun at the same time). In this episode James Buckley tells us about a recent study by Clare Marsden et al. looking at the genetic variation in African wild dog populations with potential links to local habitat fragmentation. James Grecian then talks about work by Michelle Bellingham et al. showing that fetal exposure to environmental chemicals present in sewage sludge can have long-term effects on adult sperm production in sheep. Finally, Shaun Killen summarizes a paper by Catherine O’Connor et al. 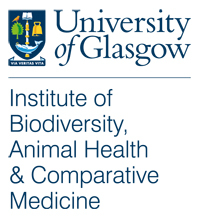 which investigates the various factors influencing the effectiveness of badger culling on the occurrence of bovine tuberculosis. We also touch on which of our favourite fictional badgers may have actually had bovine TB, and the similarities between British cattle and Gwyneth Paltrow (or at least, the character she plays in Contagion). Fiona in Eden [CC BY 2.0], via Flickr.